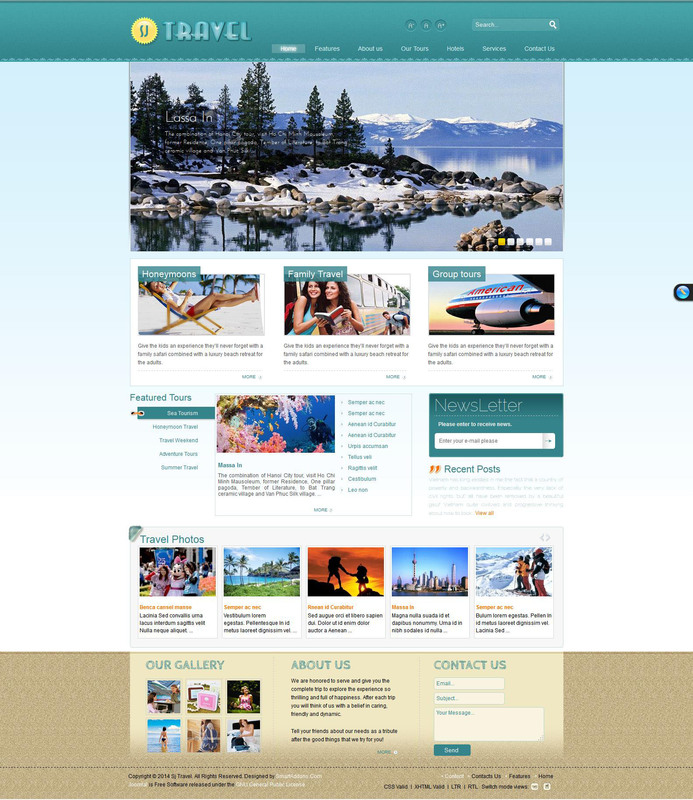 Travel YT - "tourist" template from the design studio SmartAddons, designed for versions 1.5x and 2.5x CMS Joomla! Template-based platform is Yt Framework. Template contains additional extensions studio SmartAddons: Yt Content SlideShow, and Yt News Extra Slider, allowing nice and bright issue information home page. The template is equipped with a set of different styles of site pages, and also includes the ability to edit fonts and modules pages. Template correctly displayed in all browsers. Optimized source code facilitates the work of search services that can significantly help in promoting the site developer.